Montchanin Builders makes it easy for Delaware and Pennsylvania home owners to spend more time outdoors. Enjoy yourself on your very own deck, patio, or front porch! The virtues of building a deck are many. This relatively simple home improvement expands the practical area of your home and allows you to enjoy your property from a new perspective impossible to achieve while sitting in the middle of your lawn. A deck provides the perfect spot for entertaining guests, cooking for your family, or just simple quite reflection. Outdoor space offers aesthetic benefits. Decks and patios are natural extensions of gardens, landscaping, and pool areas and not only make your environment more beautiful, but also more practical. 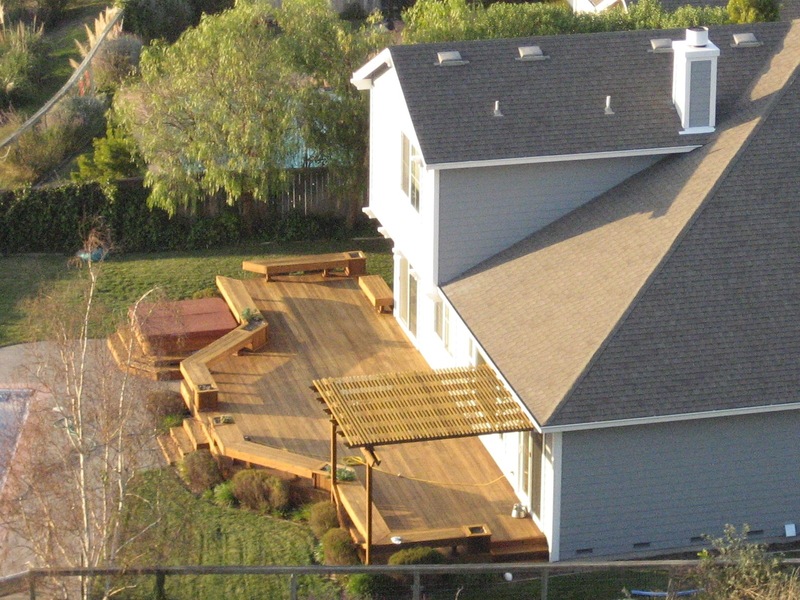 A deck can offer a perfect solution for steeply sloped properties or other conditions in your back yard that hinder your enjoyment. Not to mention, the increase in value your home will acquire along with the addition! Montchanin Builders delivers the highest quality of home improvement services with a professional, yet personal touch. Our goal is create the space you’ve been dreaming of as efficiently as possible with minimal disruption and maximum satisfaction. 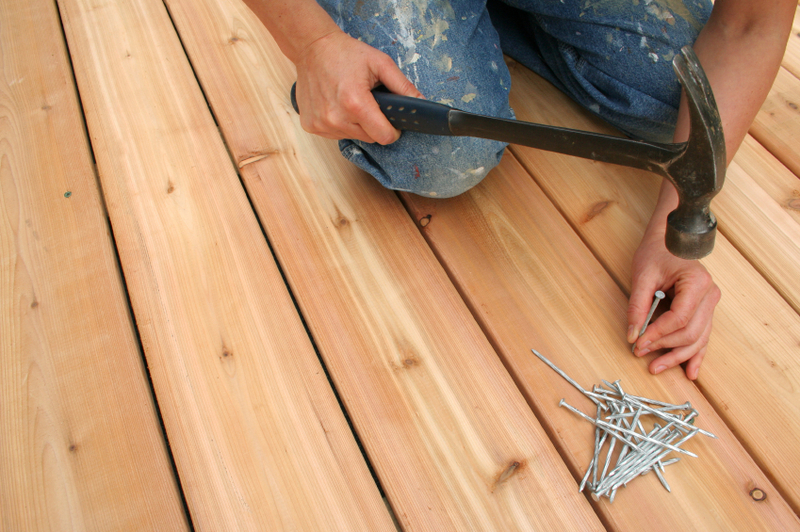 Our team of deck builders draw from long experience to deliver superior results. From the design and planning stage all the way down to the finishing touches, you can rely on the knowledge of our professional staff for everything from the best financing options to planning to choosing the right materials and ultimately- getting the job done. Your finished product should feel like a collaboration between our team and yours. We take our cues from your wishes, identify areas you may not have considered, suggest alternatives, and together create your perfect deck. Montchanin Builders is a local, privately owned construction company serving Wilmington, greater Delaware and Delaware County, Pennsylvania. Our reputation is verifiable with solid references and we are dedicated to preserving it with consistent quality construction and home renovation services at a fair price. What will you use your deck for? What shape appeals to you? Would you prefer single or multiple levels? 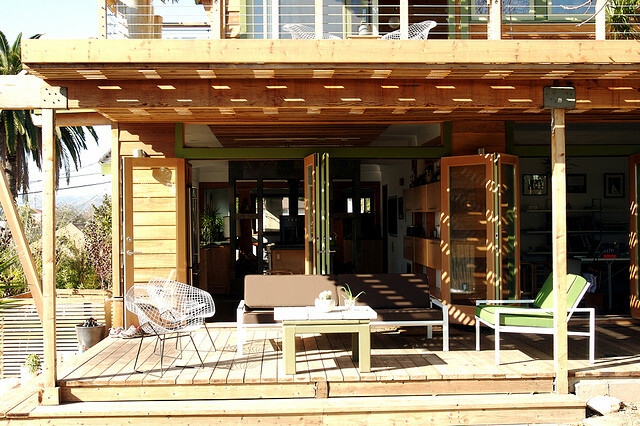 Will there be more than one access to your home from the deck? Will it tie in with another outdoor feature of your home, like a garden, landscaping or pool? How high off the ground will it be? Do you want the decking to be made of synthetic materials or exotic hardwoods? Outdoor living trends have brought many features commonly found inside the home outside. With modern low voltage lighting, fire pits, outdoor kitchens (including grills, cook tops, countertops and refrigerators), bars, awnings and comfortable, durable outdoor furniture, a deck can be your virtual living/dining space when the weather’s nice. To accommodate these features, planning and sufficient space are required. Decking itself has never been more widely available in such a broad range of colors and materials. Maintenance concerns, environmental interests and simple matters of taste tend to influence the home owner’s ultimate choice. We will put together a plan that will meet your needs, budget and building codes. With that plan in place, we can start putting together a safe and durable deck that will increase the enjoyment you get from your home and improve its value. When constructing a deck, our top priority is to build one that is stronger than it needs to be. It will be able to withstand many years of intense weather conditions and other wear and tear. Your deck won’t build itself! Get one step closer to receiving full enjoyment from your home, and call Montchanin Builders to set up a consultation. If you are in the Wilmington, greater Delaware and Delaware County, Pennsylvania area, call us at 302-472-7213 or email wwright@montchaninbuilders.net. Serving the Tri-state area, specializing in residential construction and management, Montchanin Builders is a local, privately owned construction company dedicated to providing quality construction with prompt, courteous and professional management services.